Potassium, manganese, and copper are abundant in asparagus. These minerals help to control heart rate and blood and to produce red blood cells. Peas are packed with folic acid, vitamin C, and fiber. Vitamin C helps your body resist infection and inflammatory free radicals and folic acid is known to help expectant mothers prevent birth defects. 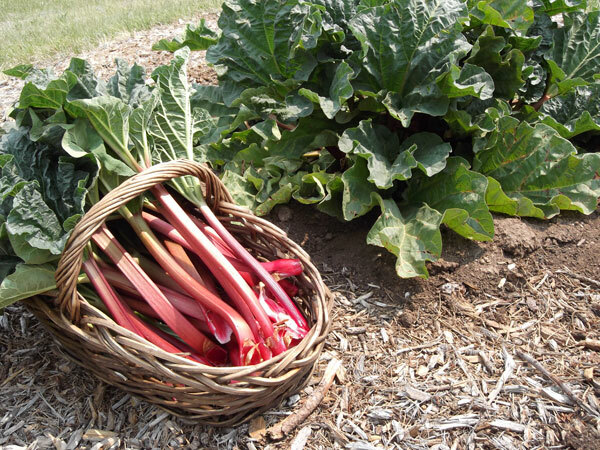 Rhubarb is rich in vitamin K, vitamin A, and folates. Vitamin K helps promote bone strength and is often used in the treatment of Alzheimer’s disease. Vitamin A is a powerful natural anti-oxidant, is essential for healthy eyesight, and research suggests it helps the body protects against lung and oral cancers. Think outside the pie pan—rhubarb doesn’t have to be paired with loads of sugar. It’s an excellent condiment. Savor spinach and get the added benefits of vitamin A, iron, and calcium. Including spinach in your regular diet helps prevent osteoporosis and anemia. Besides, it is believed to protect the body from cardiovascular diseases and cancers of colon and prostate. With vitamin C, vitamin K and calcium, watercress can help to prevent osteoporosis, anemia, and is believed to protect from cardiovascular diseases and colon/prostate cancers.